Our skilled designers have really worked their magic with this stunning design. 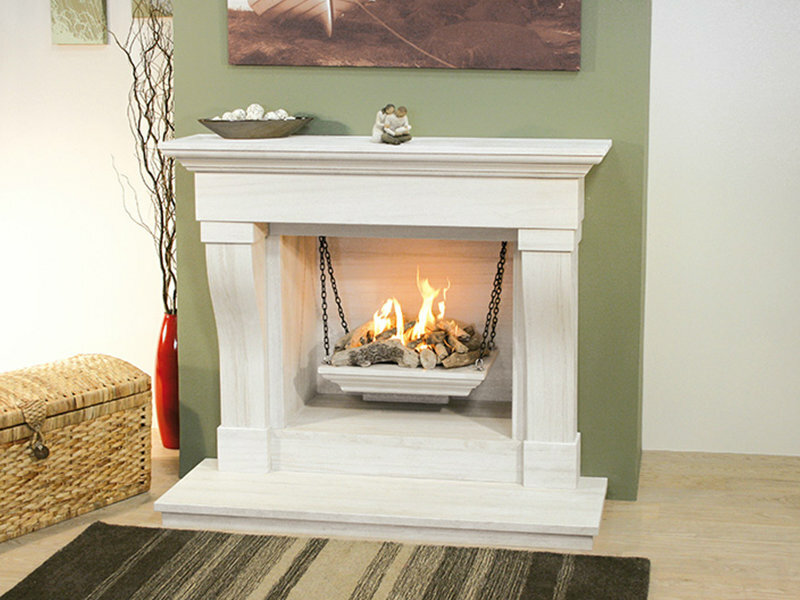 A bold fireplace with solid carved shaped stone legs. The matching stone chamber and gas fire basket are cleverly designed to simulate a chain supported fire that creates a unique effect with immense style that gives this fireplace a true wow factor.